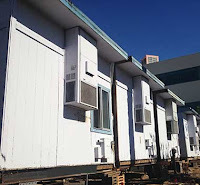 Call (800) 806-7485 for help finding a used modular building anywhere in the U.S. or Canada. Or browse this blog for tips about buying and renting for less. Need To Sell Your Modular Building? Modular buildings are sometimes the best option for use as daycare center programs because of their flexible designs, ease of installation and reasonable price to rent or purchase. When space is needed to start a new program or expand an overcrowded center the ability to quickly open a building and provide children with a comfortable environment is a huge value to owners and operators. "Our program grew so fast that building another structure was not an option if we wanted to be competitive and meet the needs of our community. We needed space and we needed it exactly the way our other centers are set up and modular was the only way to accomplish this," stated one childcare program director from Austin, Texas. The exterior and interior finishes can quickly and easily be changed along with door locations and windows if you have special requirements. Handicap ramps, covered walkways and access steps are all available for use with used modulars as well. This blog post was approved by iModular.com, a GBM Marketing, Inc. web property. Matt Banes has helped bring buyers and sellers of modular buildings together for 21 years. 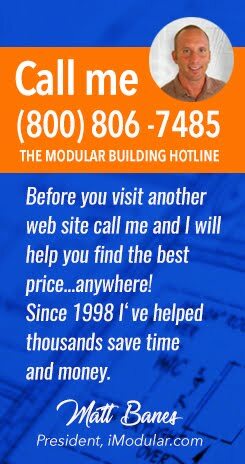 Contact Us & Find a Used Modular Building Deal! This blog is published by www.iModular.com, A GBM Marketing, Inc. property.Copyright 2017-2020. Picture Window theme. Theme images by mariusFM77. Powered by Blogger.